Who: Rihanna, Rihanna, Rihanna! With a name that hardly needs introducing, the Barbadian singer, actress, designer, and businesswoman has enjoyed a chart-topping career spanning over a decade. Why she's fearless: Rihanna does everything! Not only is she a talented singer, she's dipped her toe in acting, has dabbled in fashion design (Fenty x PUMA, anyone?) and now helms refreshingly inclusive beauty line Fenty Beauty by Rihanna. 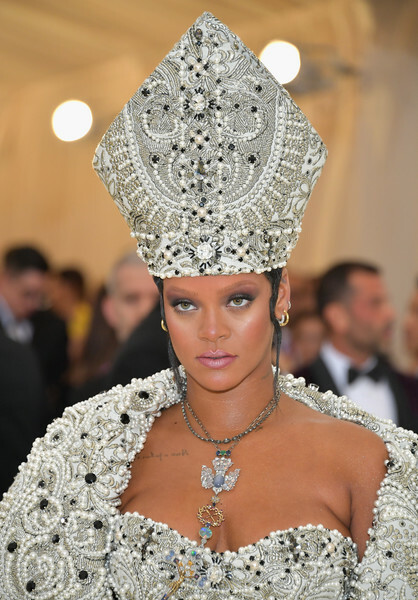 Oh, and there was that one time she channeled her own haute couture version of the Pope at the 2018 Met Gala. I've said it before, and I'll say it again: It's Rihanna's world. We're all just living in it.